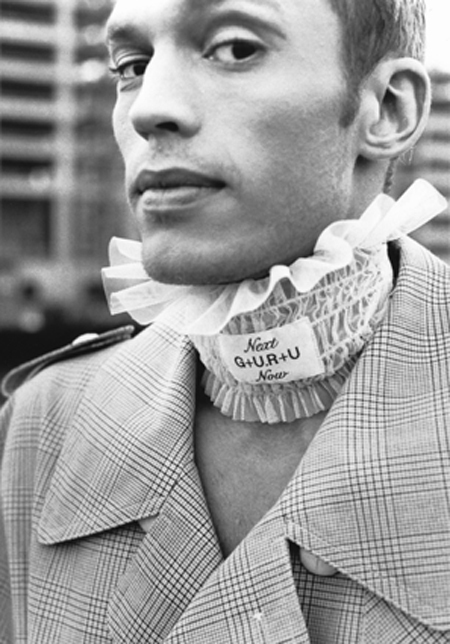 extracts of the Next G+U.R+U Now collections from 1995 until 1999 photos by schwarzer & wäller originally founded in 1995 as a fashion label under the brand name of Next G+U.R+U Now, which has become one of berlin`s most prominent avantgarde labels. collection names such as "home-sitting vampires” "hybrids, one step beyond the body lotion” or "humanize” convey the combination of various levels of reality, which is the leitmotif of their style. 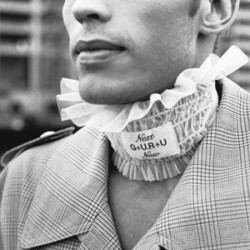 until 1999 their international success was secured by participating in the mayor fashion fairs from paris, milano to düsseldorf.